As the seniors at CVHS proceed to completing their last year of high school, the seniors in the AP art class have also begun to complete their final pieces of art to showcase at the art show on April 11. One of the artists who had the honor of displaying art pieces is Vann Jones, whose art revolves around a very interesting and controversial topic in today’s society. Jones’s artwork describes the complexity of gender and how femininity and masculinity is expressed in each of us. Jones beautifully displays the different aspects of masculinity and femininity in his art. 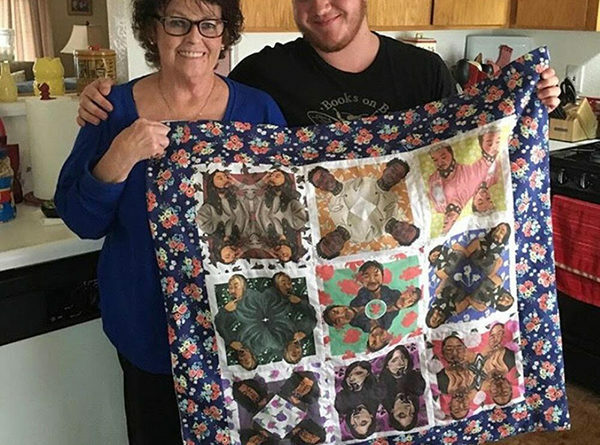 With the help of his aunt, an award winning quilter, Jones has created a quilt of his art to showcase at the art show. Jones hopes that his art makes viewers feel conflicted and make them feel a sense of multiplicity.